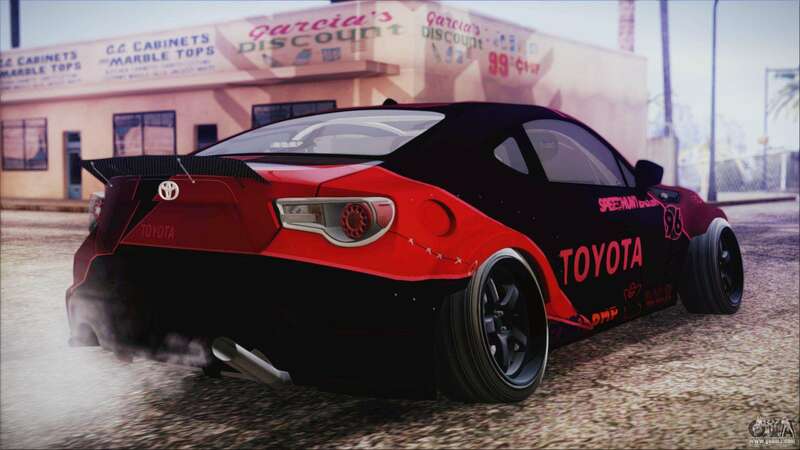 Speedhunters Toyota GT86 for GTA San Andreas. 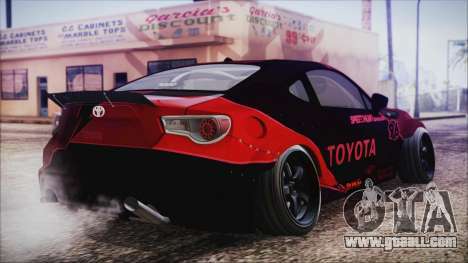 Look closely at this car and You will find that in every detail of the car lies one goal, and it is created to survive. 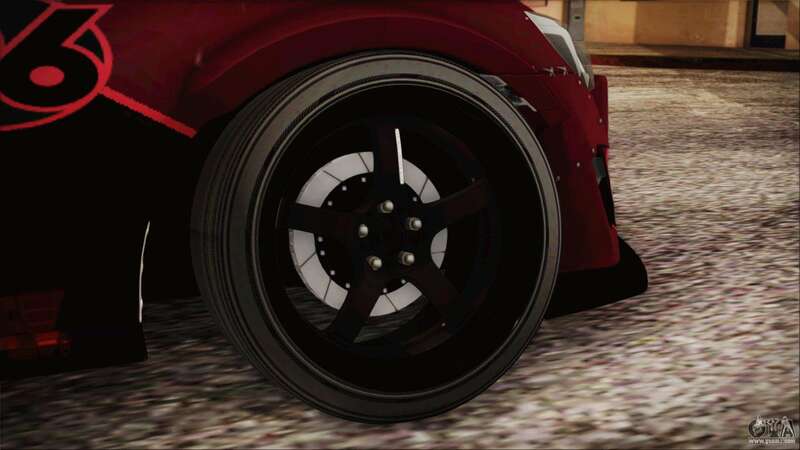 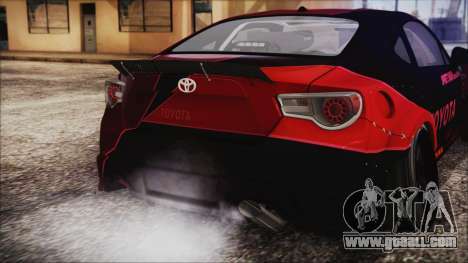 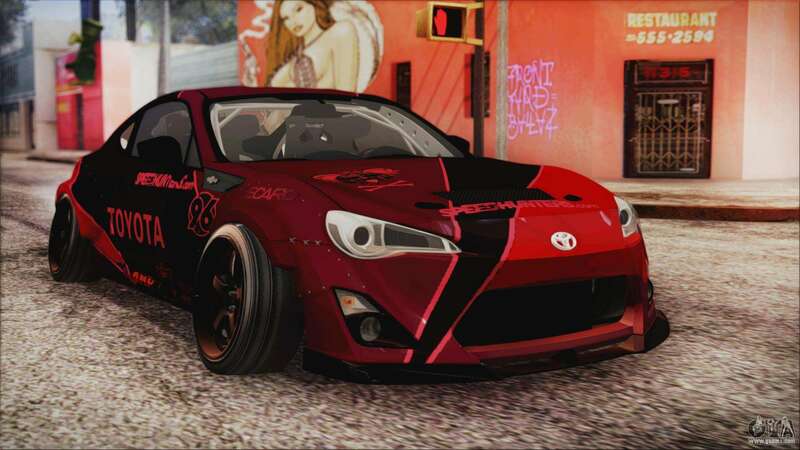 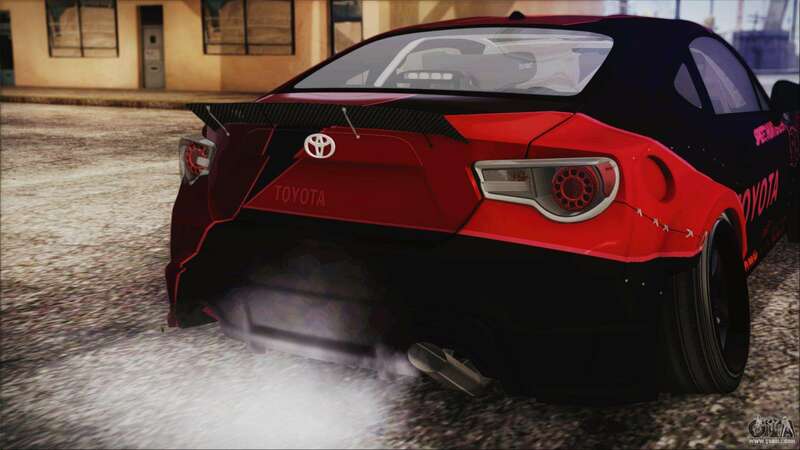 Free download mod Toyota GT86 Speedhunters for GTA San Andreas, please follow the links below. 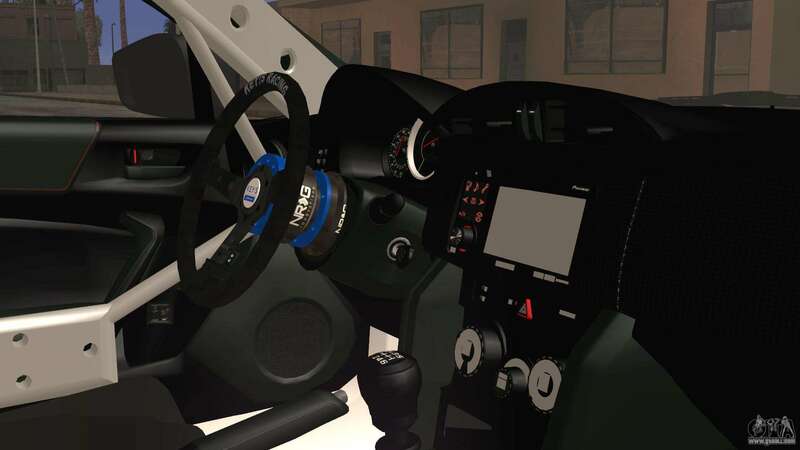 The model replaces Flash, but thanks to our autoinstaller, you can replace any game model!